So, the first half of 2009 is coming to a close, and I can't help but look forward to what's coming next. In a nutshell, I will write, write, write. I will finish my work-in-progress, Badge, or Good Night to the Rock 'n' Roll Era, by the end of the year. Barring no setbacks, the current draft will be done in September, and I can't imagine more will need to be done after that. This novel is coming in a lot longer than Stuck Outside of Phoenix and Ghost Notes. Actually, it's close to being the length of those two put together. It gets away from Hote, the main character of my first two novels, but still it's a sequel. I'm anxious to get a non-fiction book proposal out into the world. I can't give away the title yet, but it's a topic I know intimately. I'll be writing more on it at this blog later in the year. 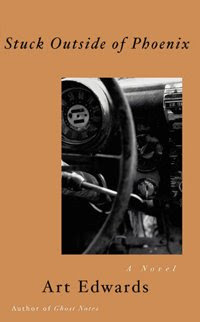 I will write and polish three or four short stories that have been begging for attention. Hote is not gone forever. Last, I will be turning Ghost Notes into a screenplay. This was prompted by a friend of mine with some movie connections who believes my second novel would make a great movie. Both of my novels would adapt fairly easily to the format, so I'm making a point to get them down in screenplay form in case someone is interested. Maybe Hote will come to a theater near you someday. None of this should prevent me from posting here every week. It's what I do. I hope you're cool with that. New Ghost Notes Audio Book Sample!!! It's great to have a new product out. I grew up in that time when a new CD or book or whatever by a favorite artist meant a great deal. There were a few who I'd make a point to go and buy the day their works came out. I remember buying REM's Out of Time and Kurt Vonnegut's Timequake on the day of their releases. I still manage to buy Dylan's latest, if not on the day of release, close to it. How about you? Are there new releases you drop everything for? Anyway, I hope that every year I'm able to get something out for you to dig. It feels healthy and right to me somehow. I've been lucky to release no less than four products in the last 16 months. I doubt I'll be able to keep up that pace, but one a year shouldn't kill me. I've posted a new sample of the audio book at my audio page. 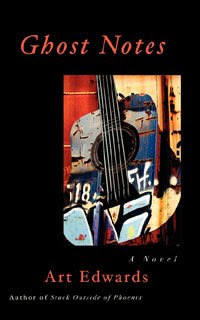 This one is an example of music interweaved with the text of the novel. I wanted you to hear it to get a sense of how the music and text work together in parts of the audio book. If you're like me, listening to audio books can rank about one notch above boredom. I listen to them a lot in the truck on long trips. It's just something to do to keep me from focusing too much on things like how far I have to go and how tired and grumpy I'm getting. It's a nice diversion in a situation where you're lucky to get anything on the radio but Pat Benetar. Nothing wrong with Pat Benetar, by the way. But audio books--at least my audio book--brings together two crafts I've spent a great deal of time working on, and it seems to hint at a way audio books can become more compelling to the listener, like a radio play or an all-audio movie. I hope to take this type of interplay much further in the future. I'm already scheming on how to do that. Until then, enjoy Ghost Notes the Audio Book. It's better than five hours of Pat Benetar. 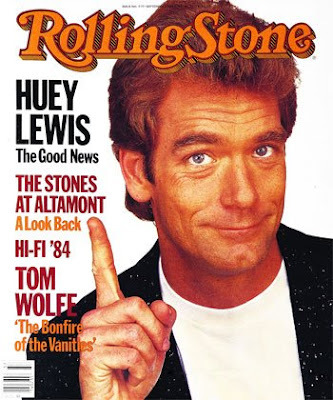 Nothing wrong with Huey Lewis, either. Ghost Notes the Audio Book Now Available!!! You can now buy Ghost Notes the Audio Book at my website. If you order the audio book--and I hope you do--it will arrive as five burned disks in less than a week, and it will be exactly the same version you'll be able to download from CDBaby and other places in the coming weeks. If you want it now, I want you to have it now. Take a listen to the sample to get some idea of what you're in for. Until recently, I thought I'd have music in only one or two chapters, but it found its way into six! Anyone who remembers the "musical rendering" performances I did with Stuck Outside of Phoenix knows how much I love to combine the two genres. This burned edition of the audio book is available for $10, and I suspect that's the minimum of what the online vendors will charge for the download (they all run their own shows, so I can't dictate what they charge). The same shipping charges apply for all Defunct merchandise, which is $5 for any order under $20. You can avoid the shipping charge by pairing your audio book order with one of my other products. In other words, for $5 more, you can have a real world copy of Ghost Notes, or Stuck Outside of Phoenix, or Songs from Memory. If you already have them, keep an extra copy around to give as a gift. You will not find a better deal anywhere! James Lorenz. Thank you for your stellar voice talent, your flexibility, and your follow-through. Your great work pushed me to make this better than I probably would have on my own. I am in your debt. Bret Hartley. Thank you for taking my panicky recording, mixing and mastering calls. No one has been more instrumental in helping me fulfill my producing and engineering potential than you. I'm in your debt (again). Tim Anthonise and Jim Gerke. Thank you for allowing me to include portions of "Nickel" in the audio book. I am in your debt (again). 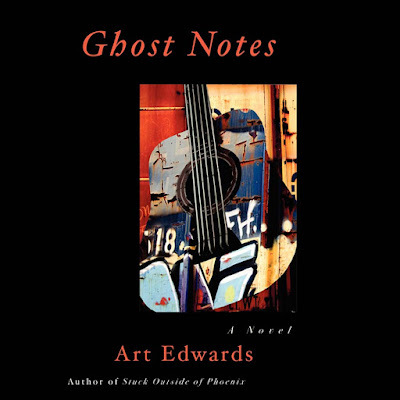 So, buy Ghost Notes the Audio Book for that long summer trip, or for your commute to work, or for your iPod, or for your home or home-studio enjoyment. I'd love to know what you think of it. Don't be shy with your comments. Hey, I've got a Gig this Friday! Despite my hectic audio book schedule, the gig is still on! I wouldn't miss it for the world. It's at a great little coffee shop in the Sellwood neighborhood of Portland called Twin Paradox. Entry is free. I'll play two sets, which will include any and all of my original material, and you can bet I'll play your favorites. Drop by and see me for free before your normal Friday night craziness. You'll be glad to know I'm finished editing the Ghost Notes the Audio Book. I'm incorporating as much music as possible, which has turned out to be one of the fun parts of putting this thing together. I've never heard anything quite like it, which is always the litmus test I put my work through. (If it's derivative, why bother?) There's probably a pretty good reason why people don't incorporate more music into their audio books, but I'm just green enough not to care! And you've heard the sample, right? So, all that's left to do is to give the entire book one last listen, break it down into segments, master it, and get it to you. Again, I'll be selling CD versions of it from my Web site next week, and the digital download version will be available through CDBaby before the summer's gone. So get ready for the gig this Friday, and get ready for Ghost Notes in audio book form in just SEVEN DAYS!